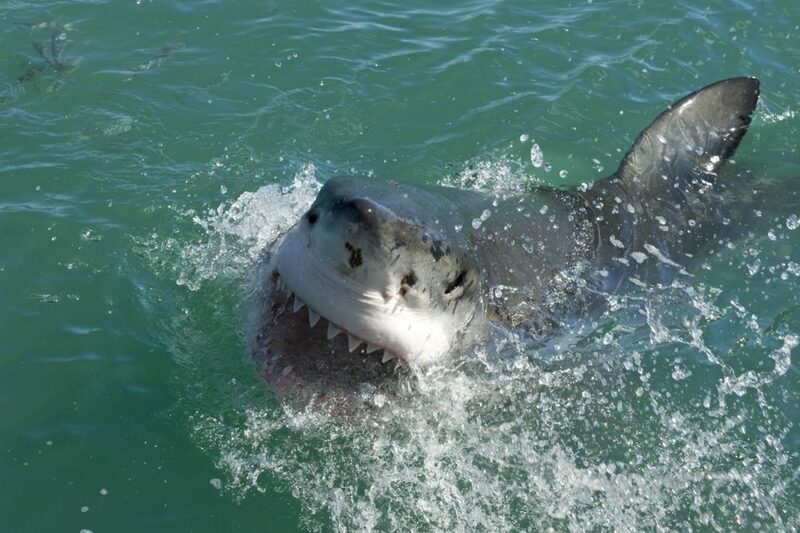 Join us for an adrenaline adventure where we take you to meet one of nature’s most feared predators in the Great White Shark capital of the world, Gansbaai! 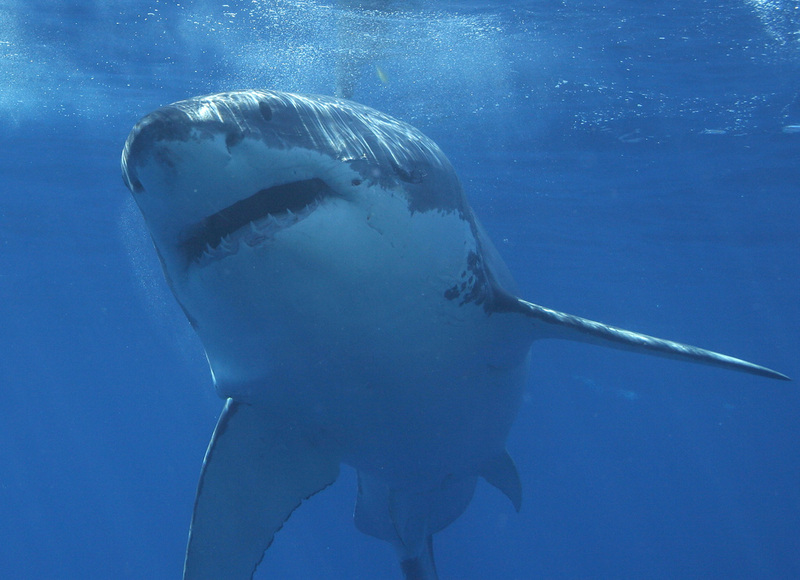 The Great White Shark must be experienced and we are experts when it comes to booking this once in a lifetime mind boggling activity! 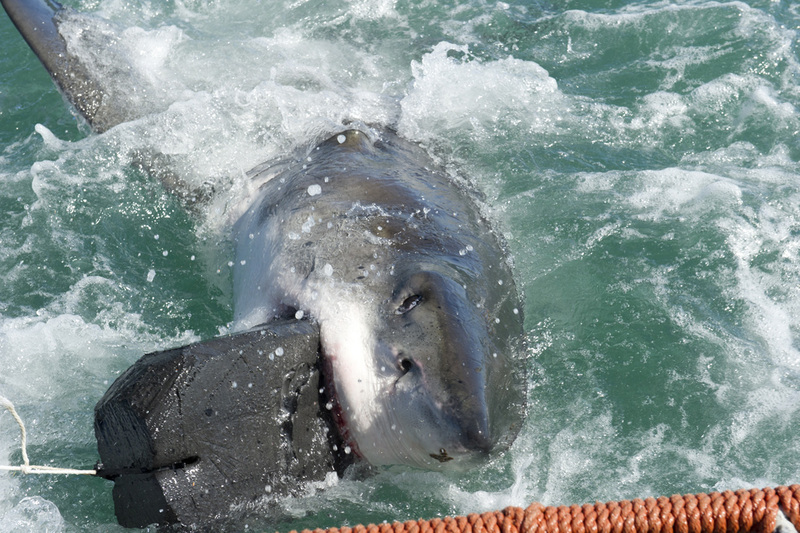 When you book shark cage diving through Extreme Scene you can be assured that we use preferred operators that we trust and have a ten year relationship with. We track the weather and swell conditions for you so that we can advise if a change to your itinerary is needed. We take the headache out of rescheduling if need be we can rearrange your activities to best suit our very unique Cape weather. This is no aquarium!! 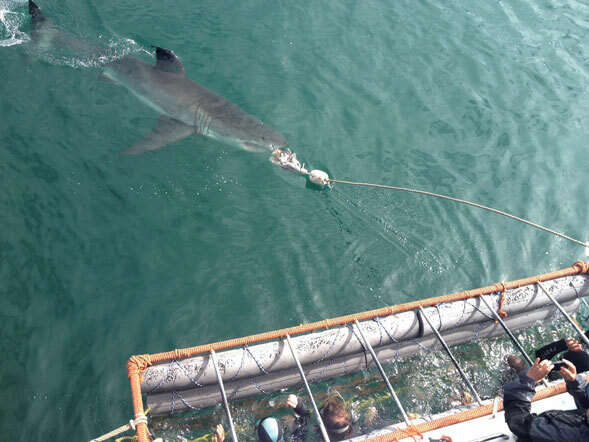 Your shark cage diving expedition begins with a light breakfast in Gansbaai followed by a brief orientation on the day’s activities ahead where you will experience one of the most exhilarating days of your life! You do not need a dive certification for the shark cage diving at Shark Alley. You will be given a full body wetsuit, weight belt, booties and face mask, and the dive master will run through all the procedures of where to hold on inside the cage etc. 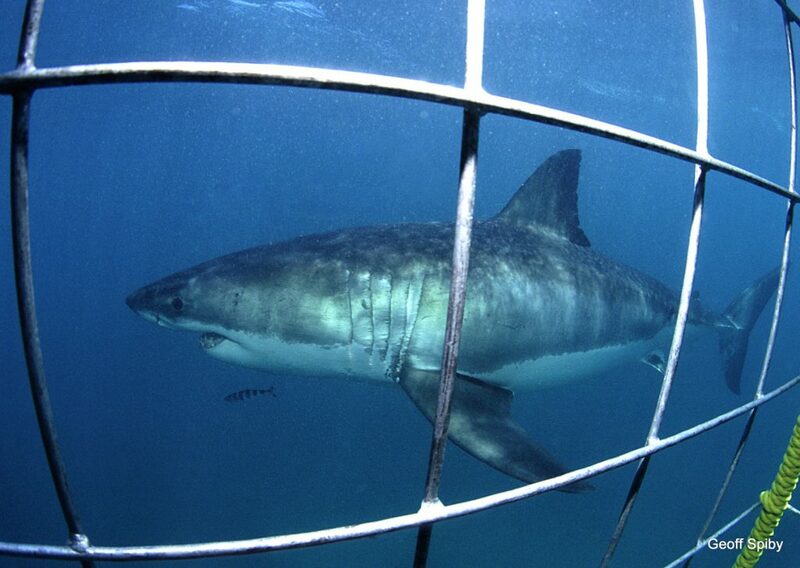 If you are not up to jumping in the cage you can get a brilliant view of these spectacular predators from the upper deck of the boat. The Skipper will begin “chumming” (the technique used to attract the sharks) and you will have the opportunity to view from the deck or to participate in a shark cage dive as the sharks make their appearance. Time permitting, the boat will visit Geyser Island en route, to view the Seal Colony. All equipment will be supplied. A light lunch and snacks and drinks will be served on the boat. You will be collected by the Great White Shark Shuttle from your accommodation and transferred with other guests to Gansbaai. On completion of your day in Gansbaai you will be shuttled back to your accommodation. You will be personally collected from your accommodation and transferred by vehicle to Gansbaai. 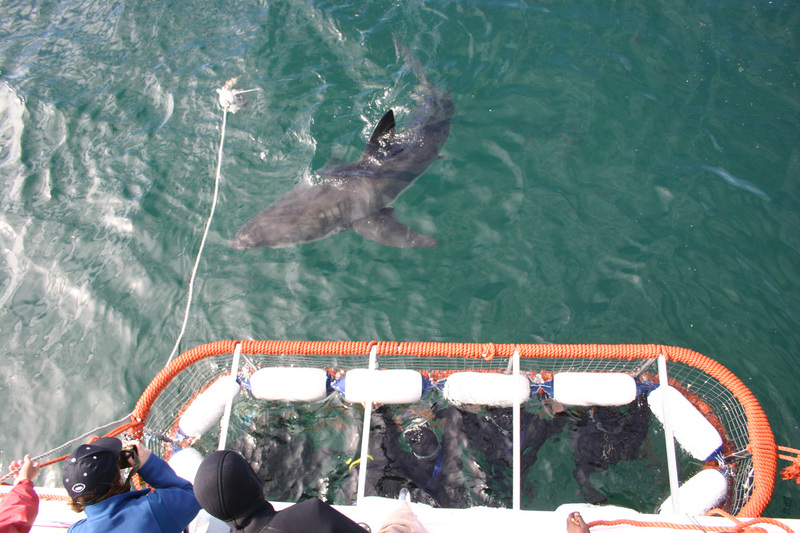 On completion of your day in Gansbaai shark diving with other guests you will be personally transferred back to your accommodation by vehicle. No waiting around for others during vehicle transfer as can often be experienced during shuttle bus transfer. 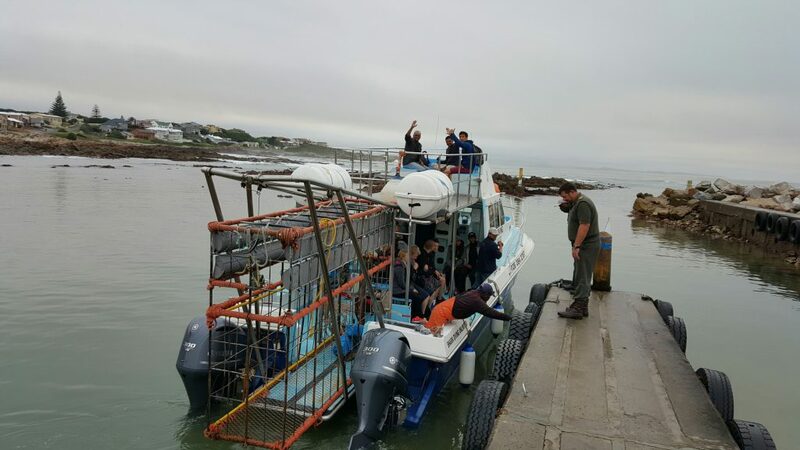 During whale season (July to mid-December) this is often a great option as it gives you a chance to stop in nearby Hermanus to view the whales after your shark cage diving experience. On arrival at the helicopter charter company in the V&A Waterfront you will be met by the friendly team and briefed on your flight ahead. From here you will experience between a 45 minute to 1 hour scenic helicopter flight as we transfer you to Gansbaai. Views from the air of the Elgin Valley and Walker Bay are absolutely amazing. On completion of your day in Gansbaai shark diving with other guests we will then fly you back by helicopter to the helicopter charter company. “Despite the 99% success rate, these are wild animals and sightings cannot be guaranteed. In the unlikely event that we don’t find sharks we will offer you a return trip for free.” There are however no refunds. Please note booking conditions below. If you have any questions please let me know as I will be happy to answer them. We look forward to hearing back from you soon. – All guests/clients participate on activities at own risk. – 50% Deposit to secure all activity bookings and balance to be paid 14 days prior to activity date. – In the event of cancellation within 30 – 15 days of confirmed activity date, a 50% cancellation fee will apply. – In the event of a “no show” or cancellation within 14 days of confirmed activity date, a 100% cancellation fee will apply. – 50% Deposit to secure all accommodation bookings and the balance to be paid 30 days prior to arrival date. – In the event of cancellation within 45 – 31 days of confirmed accommodation arrival date, a 50% cancellation fee will apply. – In the event of a “no show” or cancellation within 30 days of confirmed accommodation arrival date, a 100% cancellation fee will apply. – Late arrivals and early departures incur 100% charge. – If weather cancels an activity and you cannot reschedule you will receive a 90% refund. A 10% administration fee will be charged. – In cases of activities involving wildlife we do not guarantee sightings of animals. No refunds are given. – If a vehicle transfer is booked via Extreme Scene or Bungy Bus and the weather cancels your activity there will be no refund on this vehicle transfer. You are then entitled to use the vehicle transfer of similar time and distance should you wish. – Due to wind factor all helicopter flight times are approximate and may vary as much as 20%. – The owners and management of Extreme Scene cannot be held responsible for any loss or damage of any property of the guest. – All guests will be required to sign an indemnity before all activities taking place. – All Visa/Mastercard transactions will have a 3.5% handling fee added to them and all AMEX 5% handling fee. – Prices are subject to change without prior notice.